On the top of the World...: Don’t expect a great day but make one. Don’t expect a great day but make one. 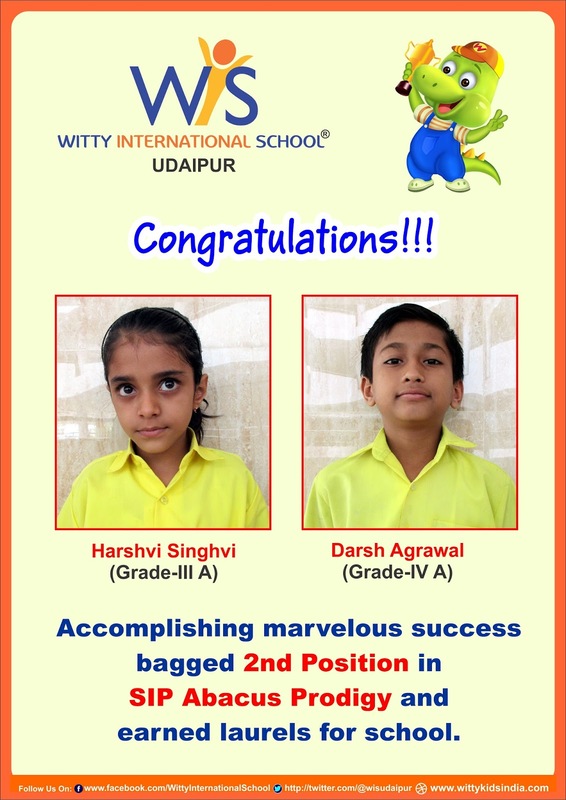 Accomplishing marvelous success Harshvi Singh of Grade-III A and Darsh Agarwal of Grade-IV A bagged 2nd Position in SIP Abacus Prodigy and earned laurels for school. 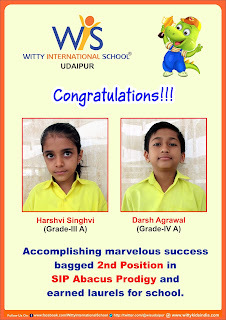 Students exercised their prudence and analytical skills to crack the test.